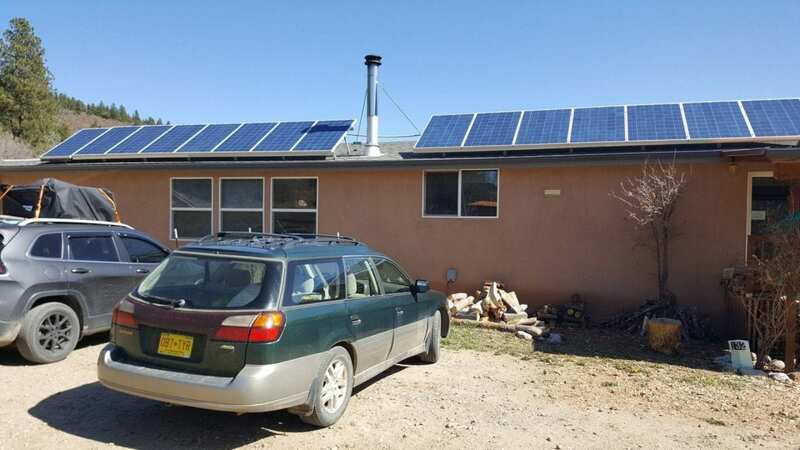 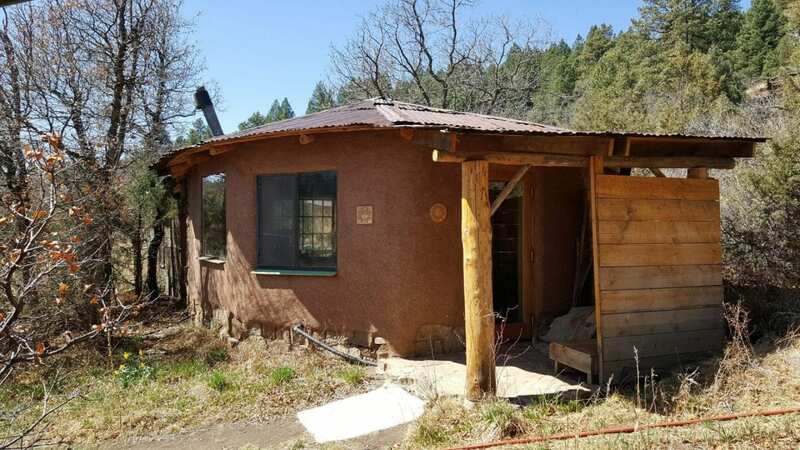 I left the Commons on the Alameda that morning and drove into the high mountains of New Mexico to visit the Hummingbird Community, also known as the Hummingbird Transformational Living Center. 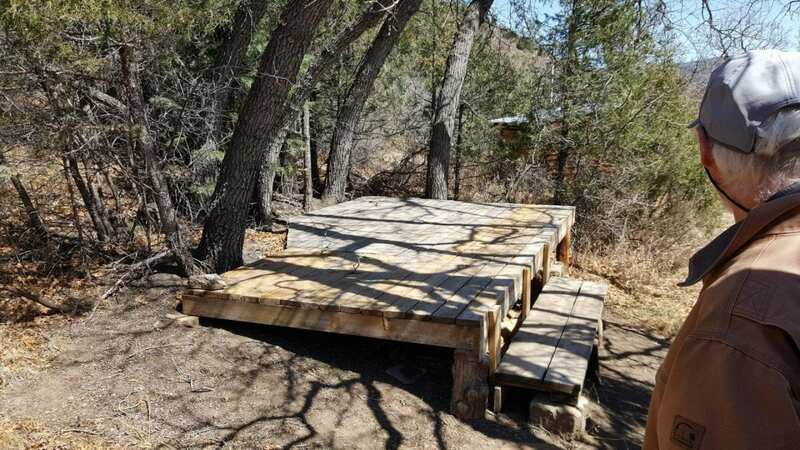 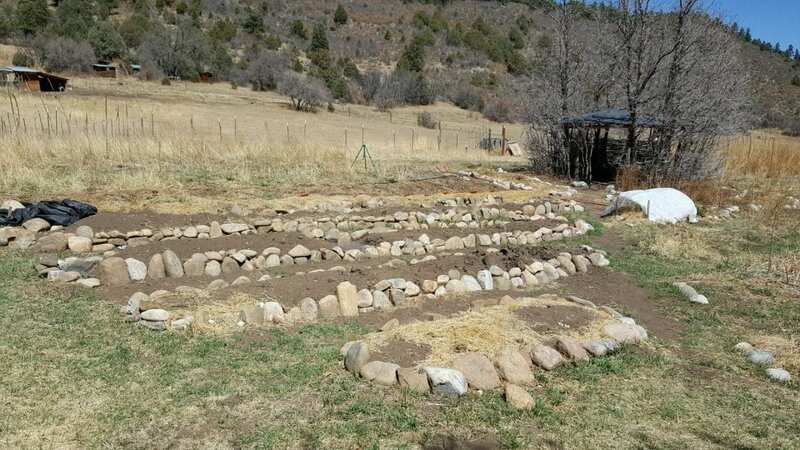 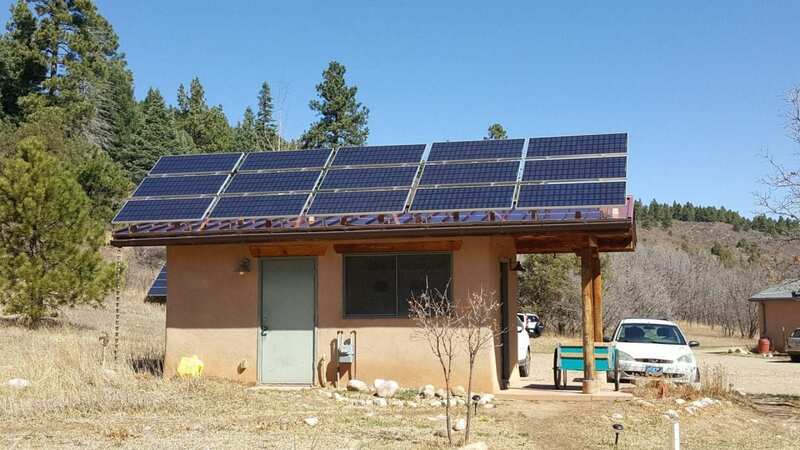 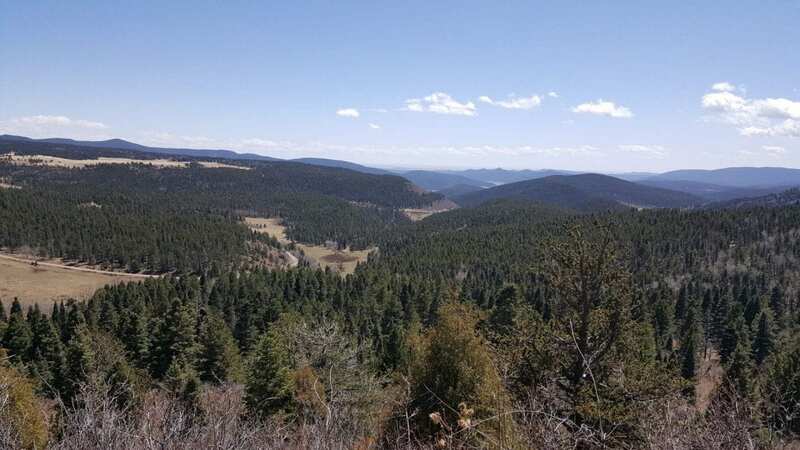 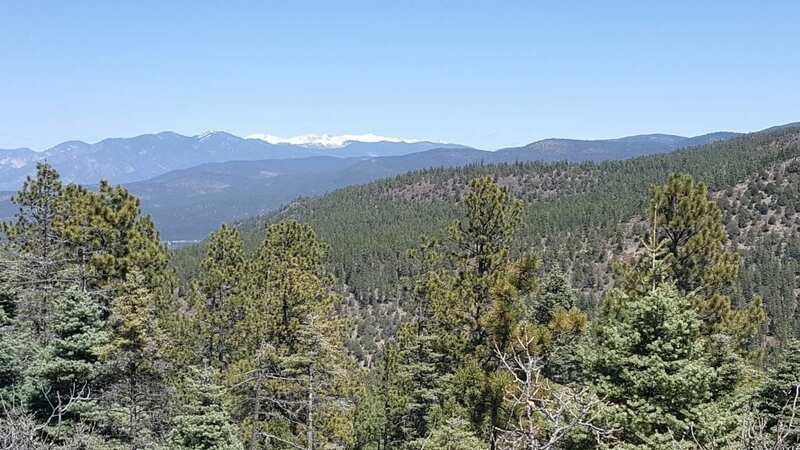 “Nestled in a valley among the Aspens, Cottonwoods, and Ponderosa Pines in the Sangre de Cristo Mountains of northern New Mexico, rests a 500-acre ranch that is home to a 20-person residential Hummingbird Community. 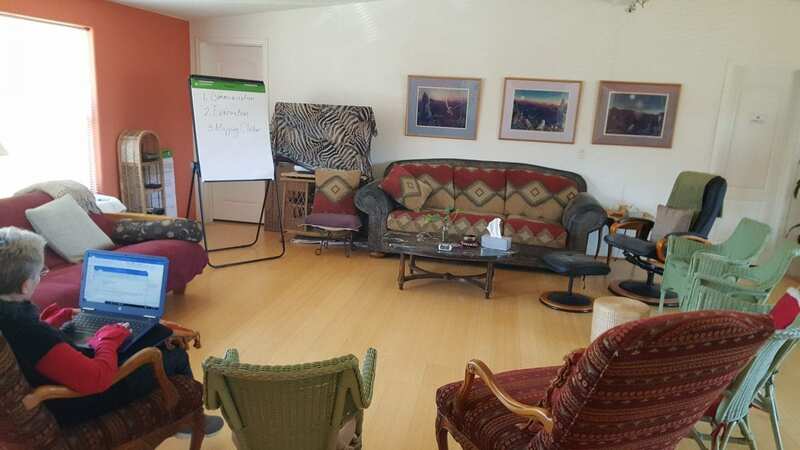 Hummingbird calls to those who desire to serve humanity’s collective awakening while realizing their own true nature. 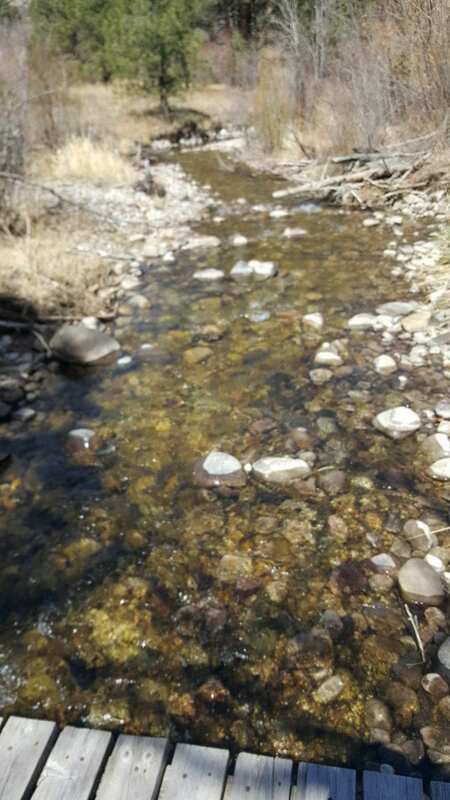 We view all of our daily activities, exchanges with nature, relationships, and inward focus as a spiritual practice. The full-time residents and extended family members of Hummingbird practice the principles of co-creation in service to the evolution of consciousness. 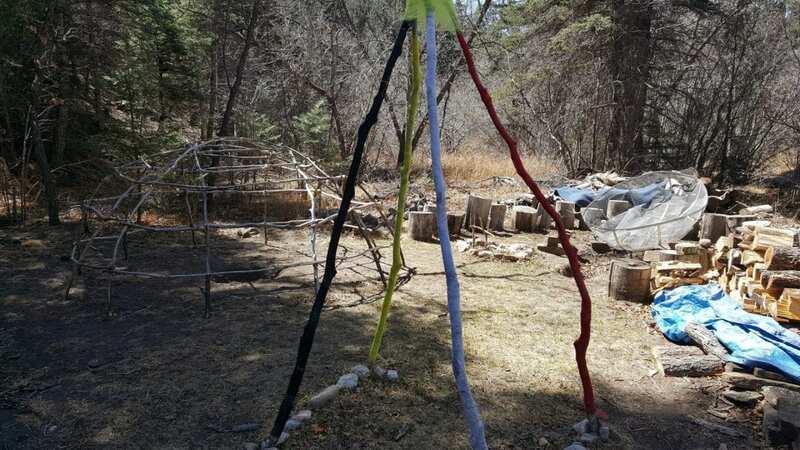 We honor diverse spiritual traditions, and are committed to personal and planetary transformation. 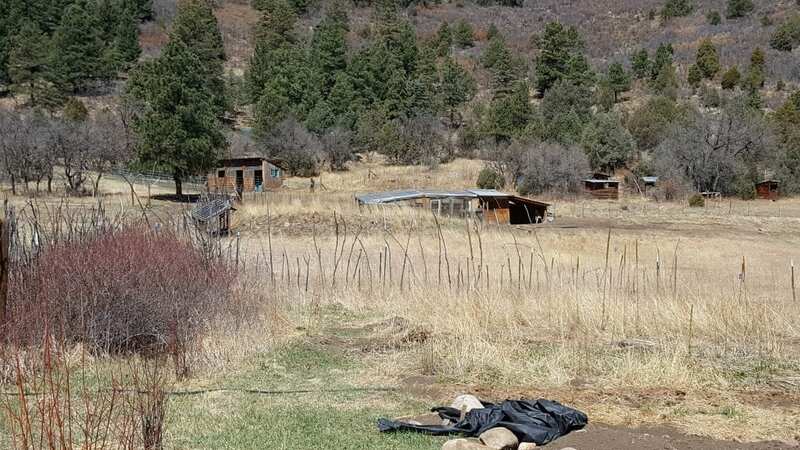 I arrived at the Hummingbird Community, after getting lost and turned around on the residential road up to the property, and met my host, Rich Ruster, at the main community center building. 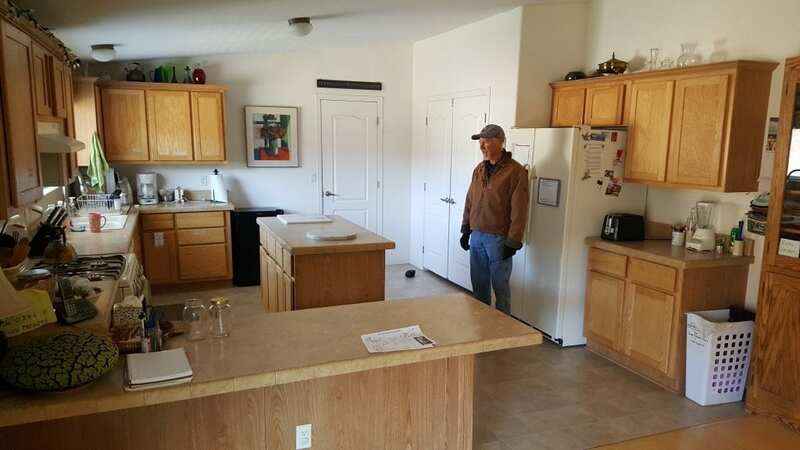 We started the community tour inside of the main community center building, taking a look at the communal office spaces, kitchen, and living/meeting room. Earlier in the day, the community had a fire preparedness meeting to discuss the evacuation process and who was responsible to notify various regions of the community. 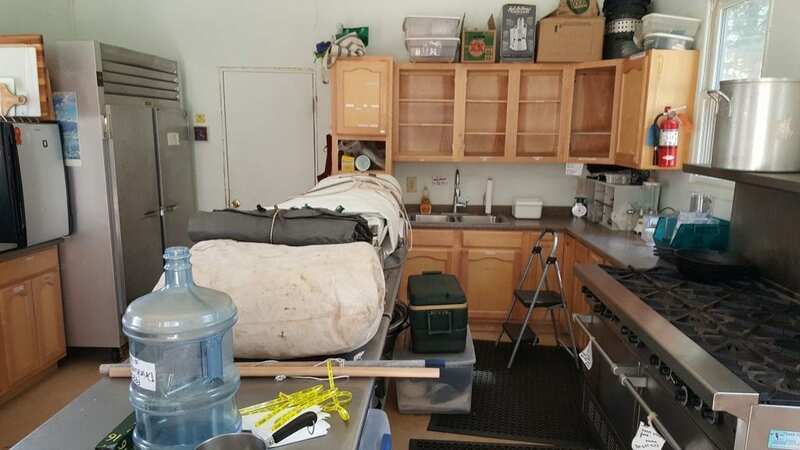 Here’s a picture of Rich telling me about their fire preparation meeting. 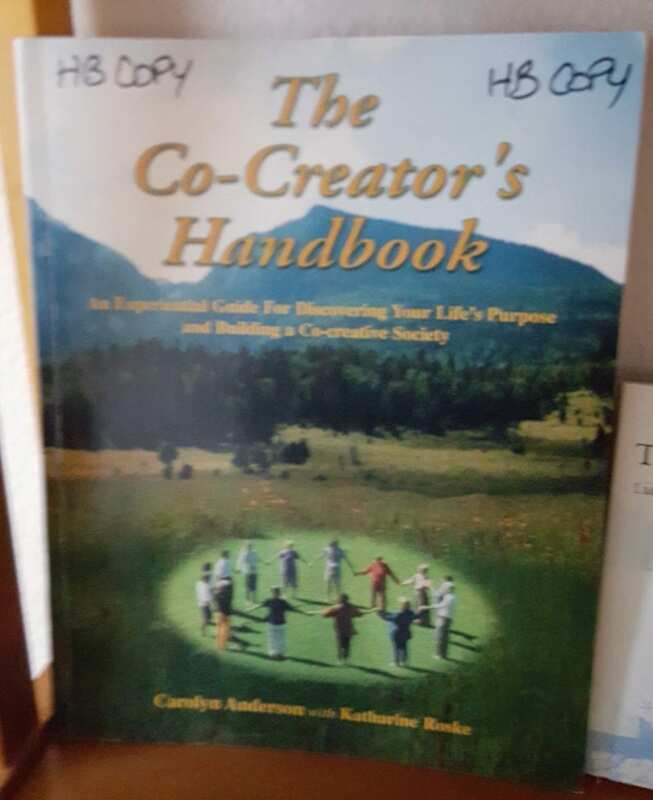 The Co-Creator’s Handbook is one of the literary cornerstone’s to the Hummingbird Community! 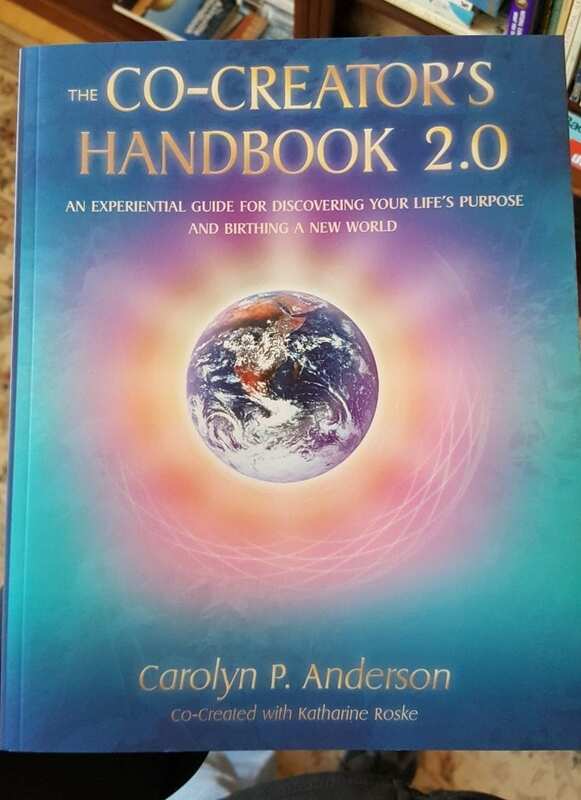 The updated version, The Co-Creator’s Handbook 2.0, has replaced the original handbook and is the new literary cornerstone of the community. 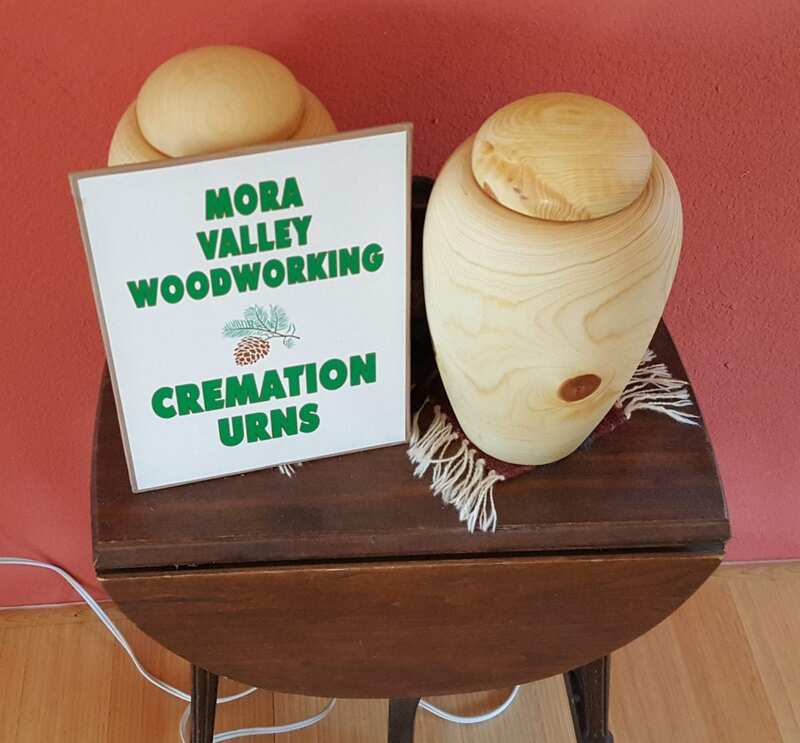 Rich also told me that Hummingbird works closely with the economic and community development organizations in Mora Valley, which is a low-income demographic with not many jobs, and has coordinated several cottage industries – like natural wooden urns – that are sold in the town as a profitable revenue stream. 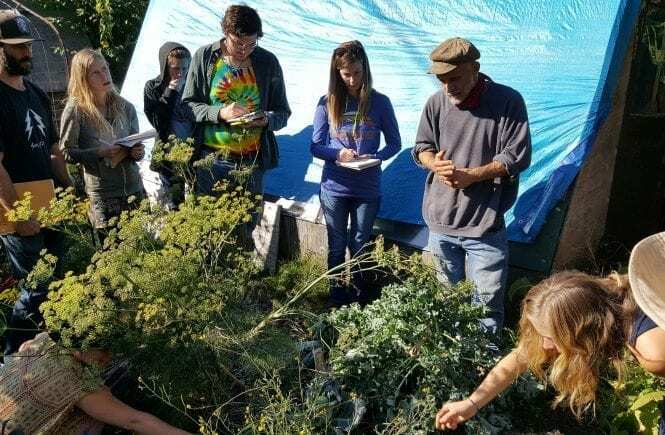 I really admire Hummingbird’s initiatives to be proactively engaged with the local community on various levels. 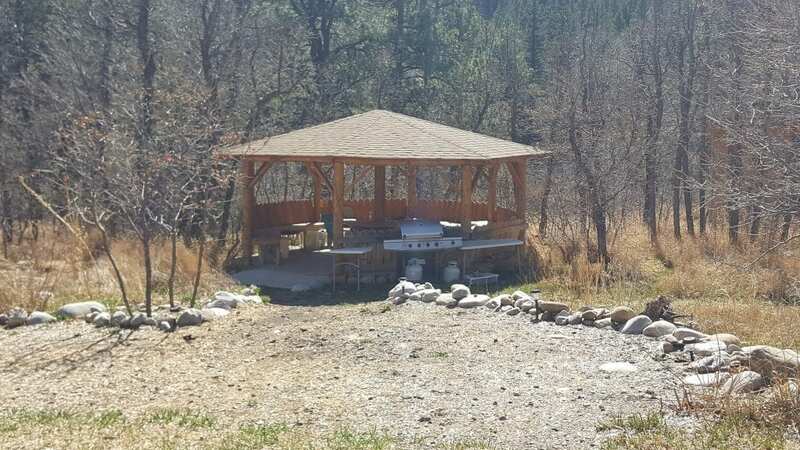 This is the outdoor gazebo and grilling station near the main community center, at the far end of the parking lot. 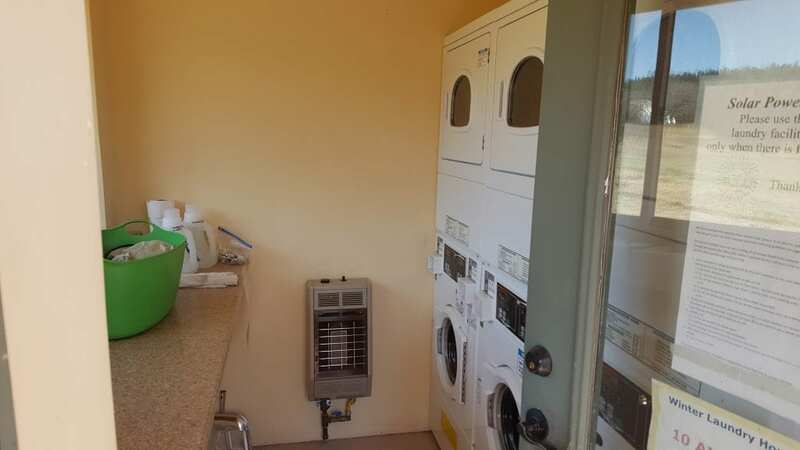 Our next stop was by the solar powered, communal laundry facilities – a pretty impressive feat of design! 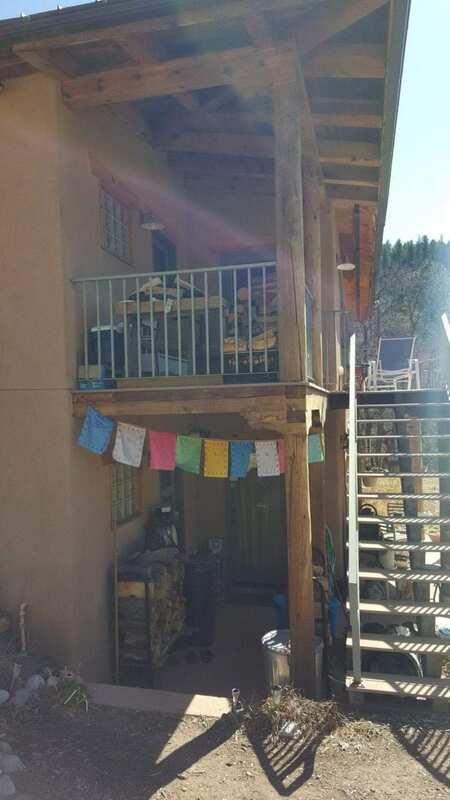 Following the laundry room, we swung by the Ease & Grace guest house, the main residential complex where some of the residents lived full-time, but also had several available rooms for event attendees who don’t want to camp or stay in the onsite yurts. 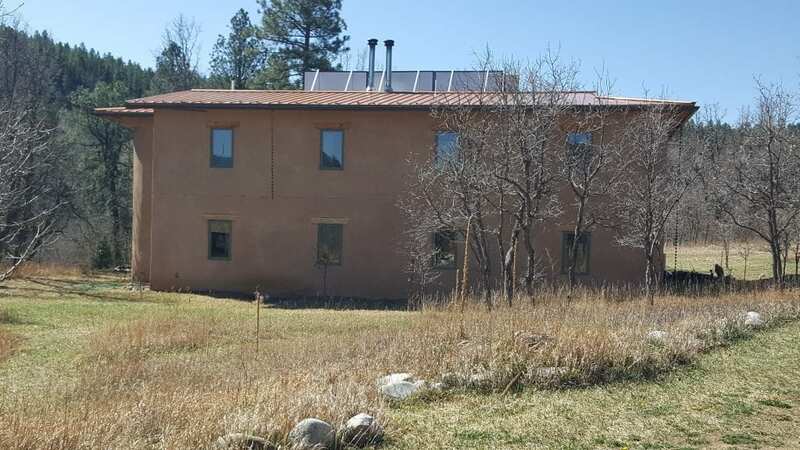 This building was a two-story, naturally build strawbale structure! 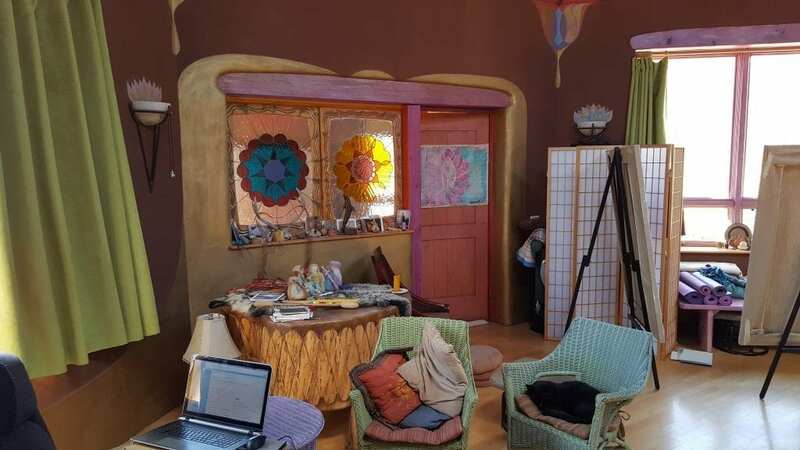 Here’s a view inside one of the guest rooms in the strawbale building, I really liked the Don Quixote artwork on the far wall. 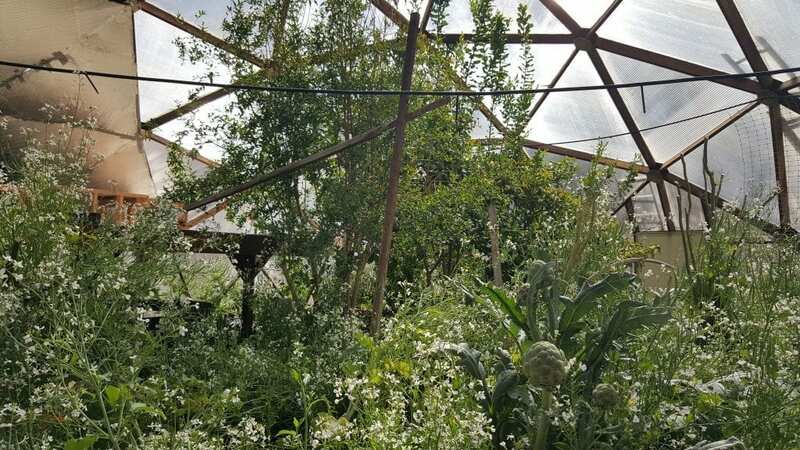 The tour continued to the Manna Nectar garden, Manna Rose garden in the geodesic greenhouse dome, and the event center/music hall building venue used for retreats and workshops. 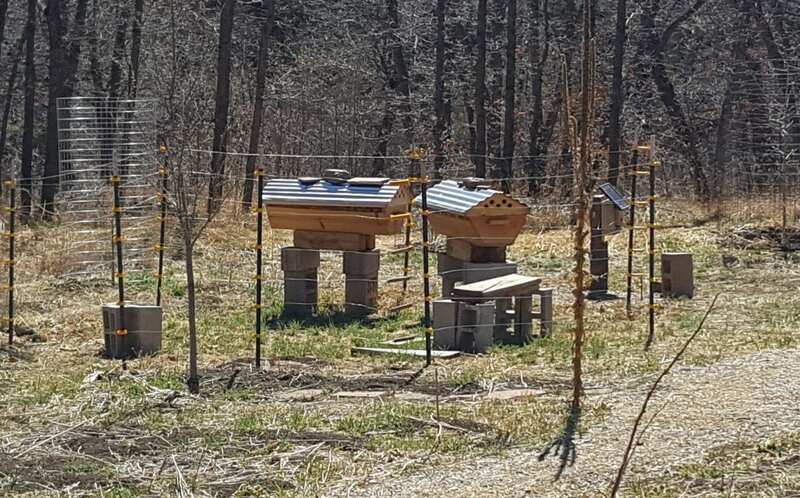 These are the top-bar beehives (which I learned about at Bee Oasis), which are surrounded by a solar powered electrical fence to keep bears and predators out. 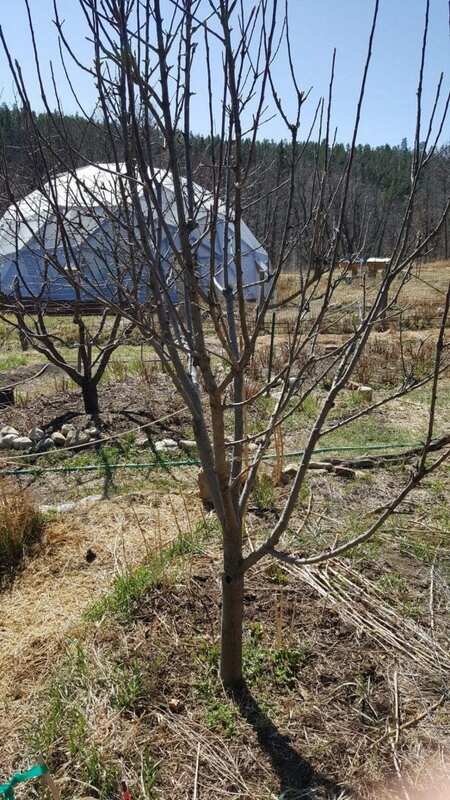 This tree was planted at the end of the first Ecovillage Design Education course that Rich helped developed. 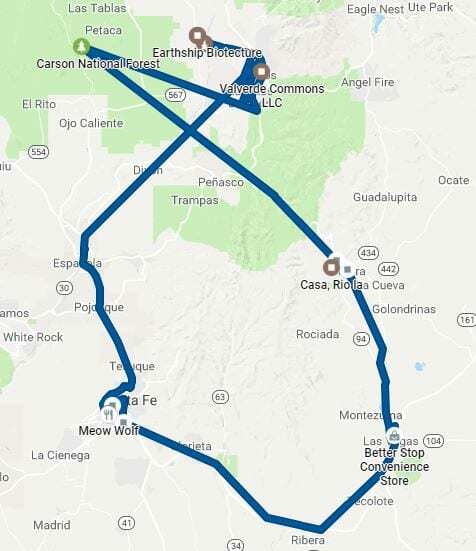 It’s really cool to see something grow with time that is connected to something I was involved with thousands of miles away. 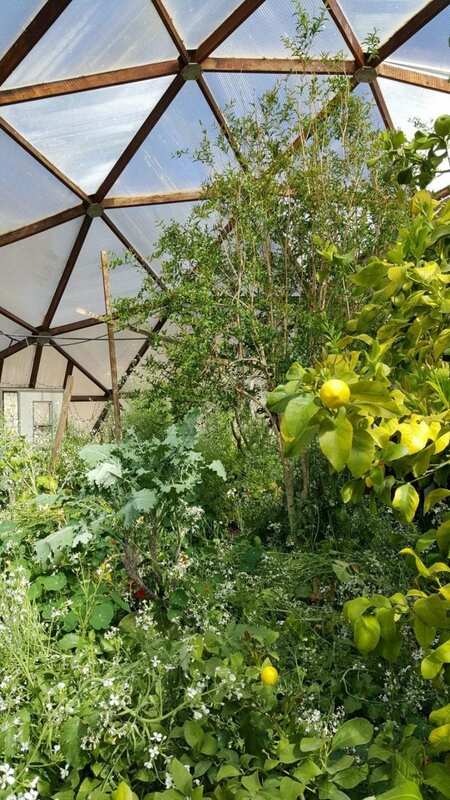 Here’s a view inside the geodesic dome green house, where you can see hardy citrus trees! 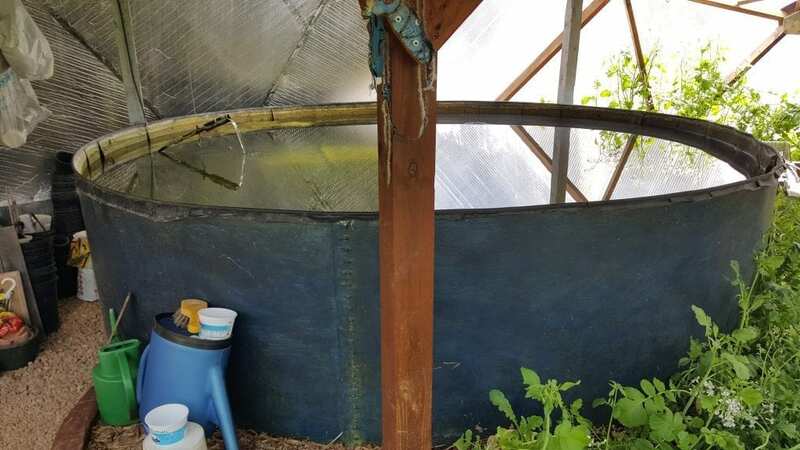 This is the aquaponics fish tank, that is used to help fertilize the indoor plants, but the black tank also draws and retains heat to help regulate the greenhouse temperatures in various seasons. 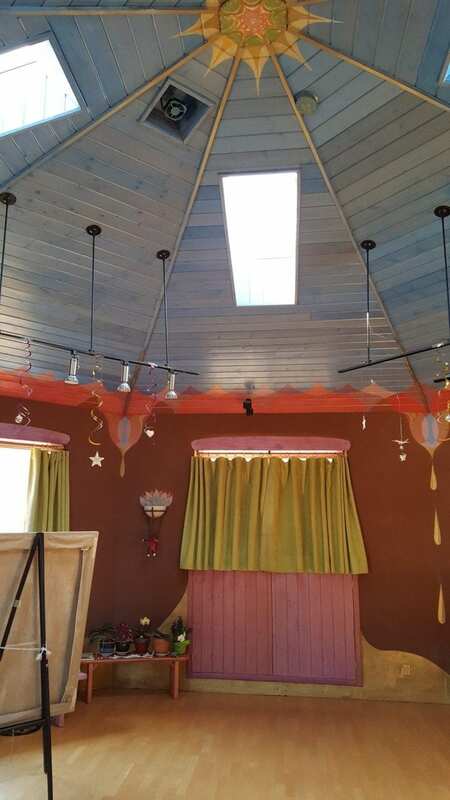 A view inside the large strawbale event center, with artistic paintings of the sun and sky on the ceiling and a golden paint on the earthen plaster walls! 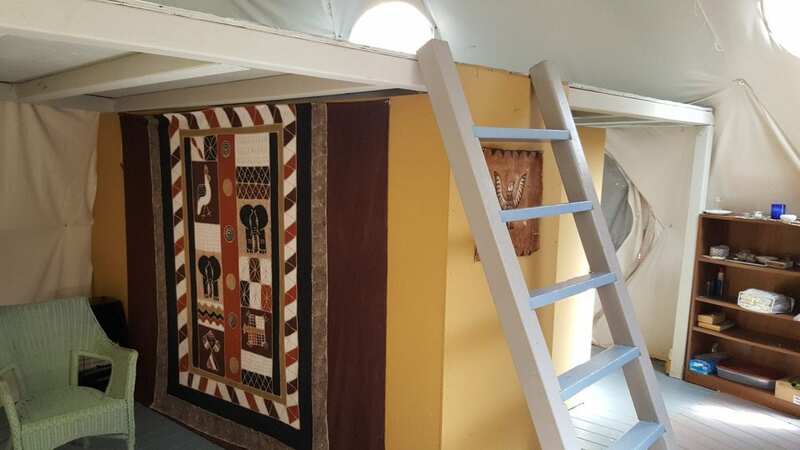 The stained glass windows were made by a local artisan and installed during the building process. 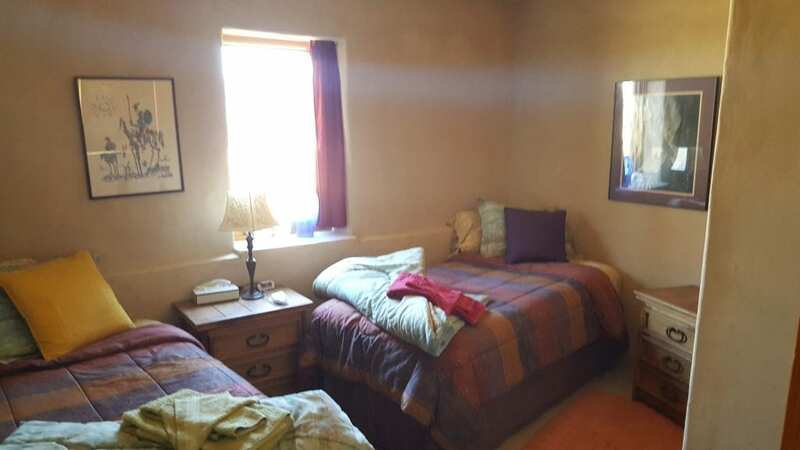 On the far side of the building are the bathrooms, a wood-burning stove, and a kitchenette so guests can have everything they might need without having to leave the building. 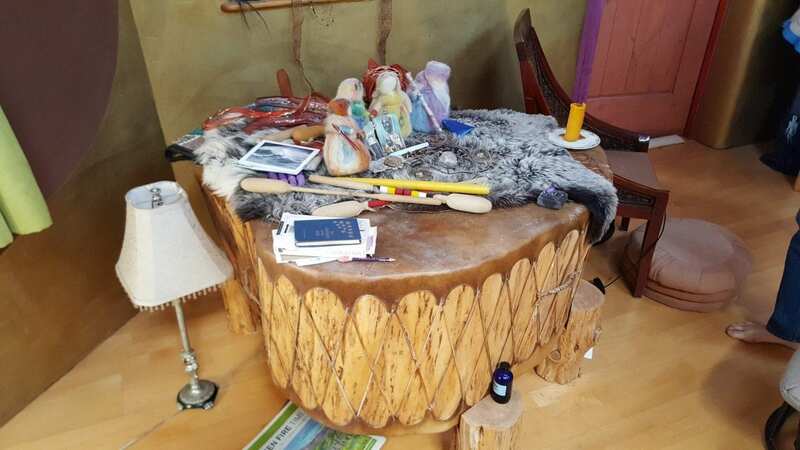 This is a large table drum that in the shape of a heart, which is moved and used for musical ceremonies. 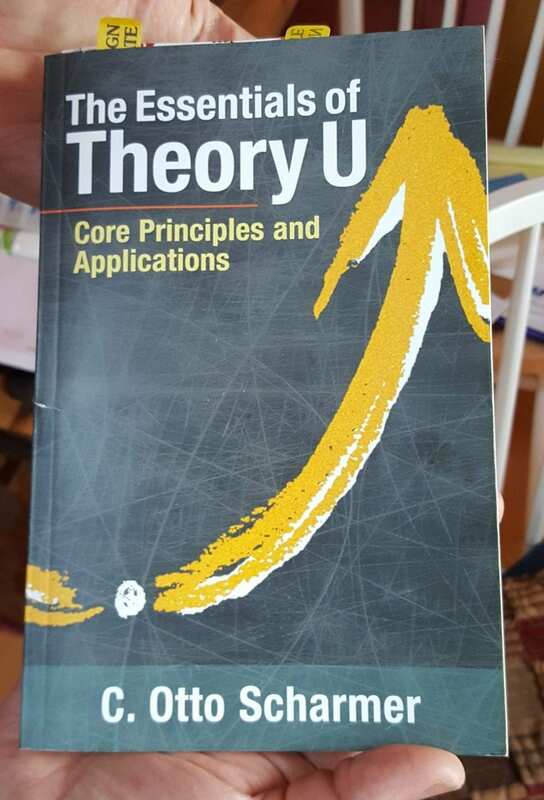 Another resident onsite recommended I read The Essentials of Theory U. 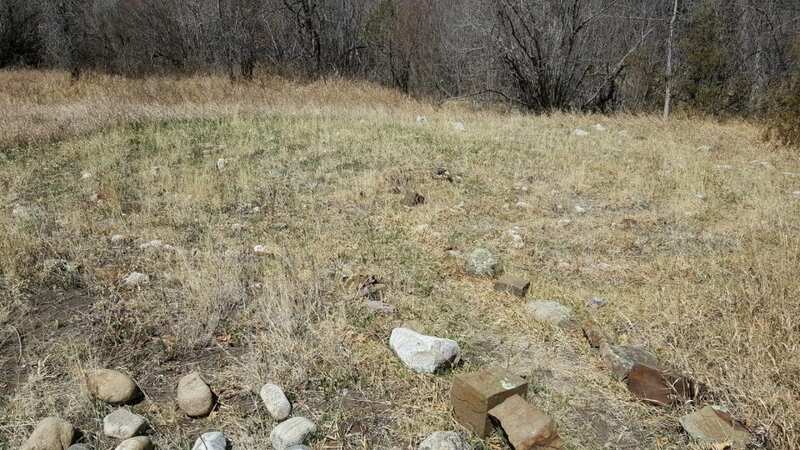 After leaving the event hall building, Rich pointed out a private residence at the top of the hill. 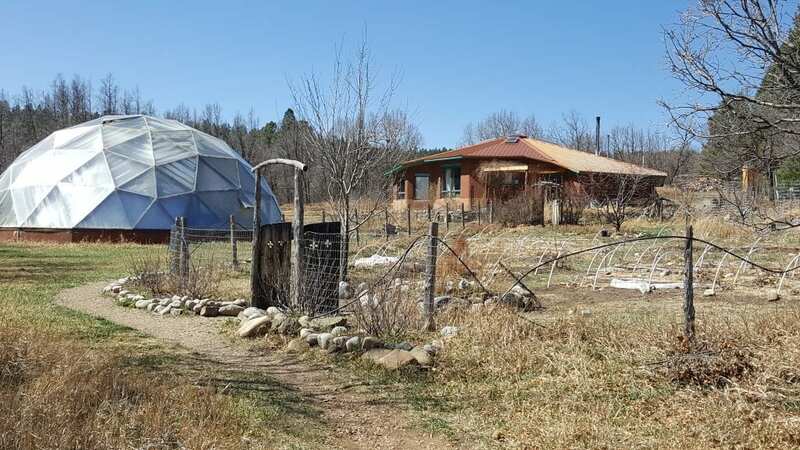 We backtracked across the property to the Eden Gardens, containing the cow stables, main growing fields, and permaculture gardens, which had been neglected over the recent years without a primary caretaker – but efforts in revitalizing the community’s direction put an emphasis on teaching permaculture. 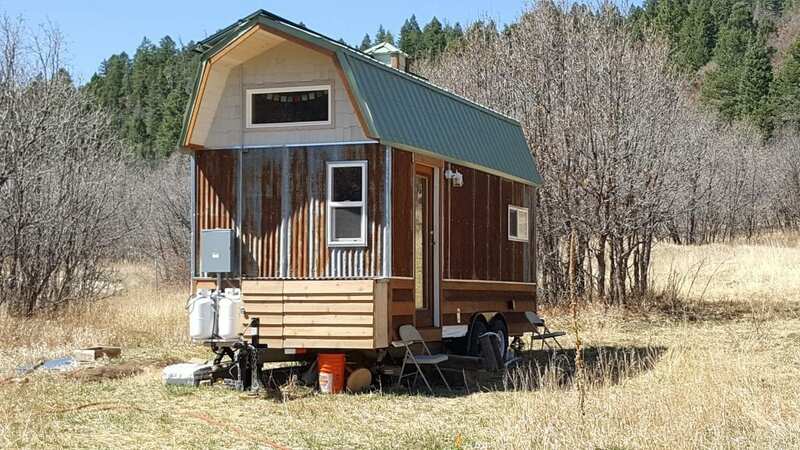 At the bottom of the hillside fields was a newer resident’s tiny home trailer – I really like the rustic style! 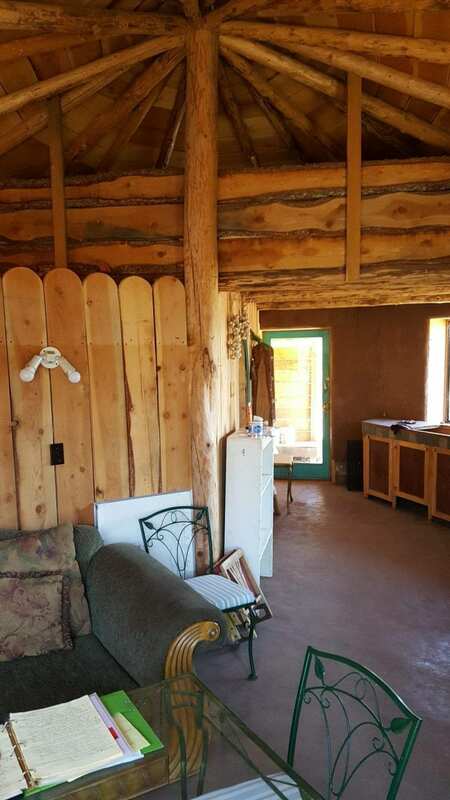 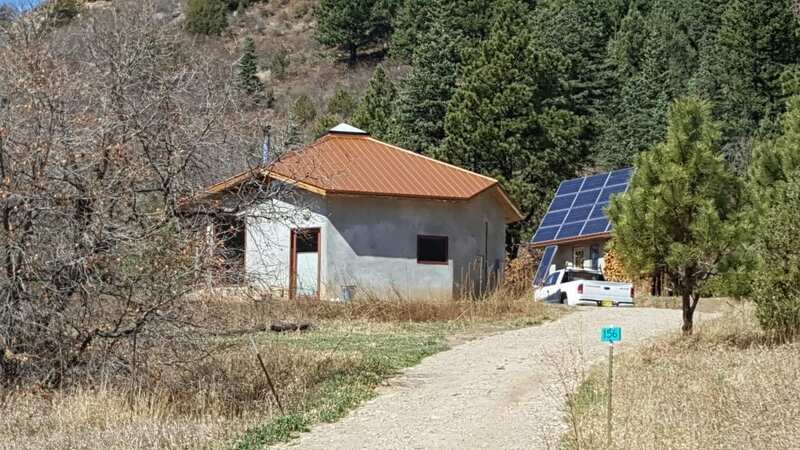 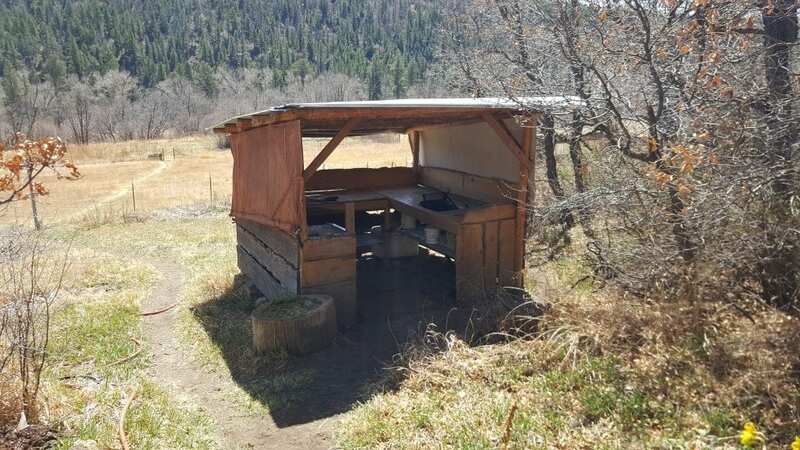 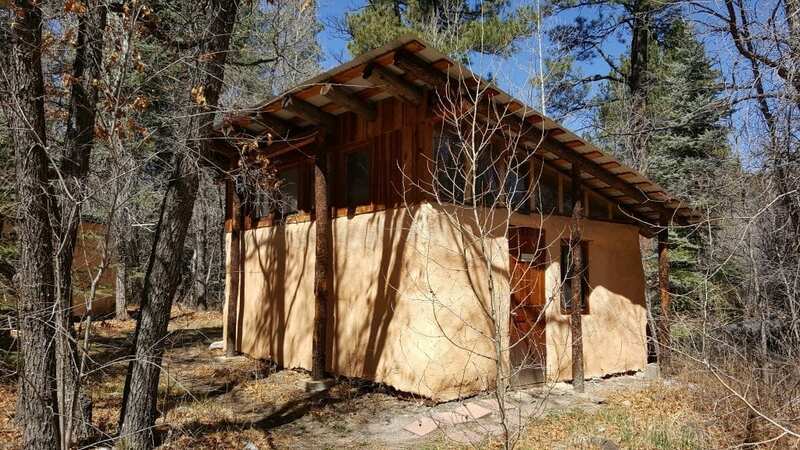 We made our way up the hillside fields to a naturally build strawbale cabin that had a small interior bathroom and kitchenette, as well as an outdoor kitchen downhill and a small yoga/camping platform next to the structure! 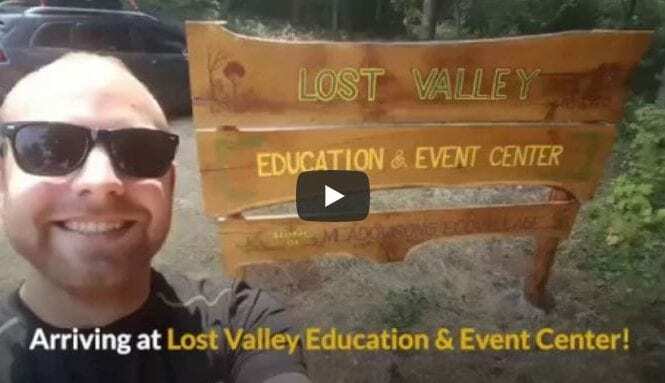 After the main fields, Rich took me to the forest camping areas – which really catered to hosting events and large groups for retreats, workshops, outdoor weddings and even personal sabbaticals. We stopped in another naturally build strawbale structure, which served as the kitchen and food/supplies storage building for events. 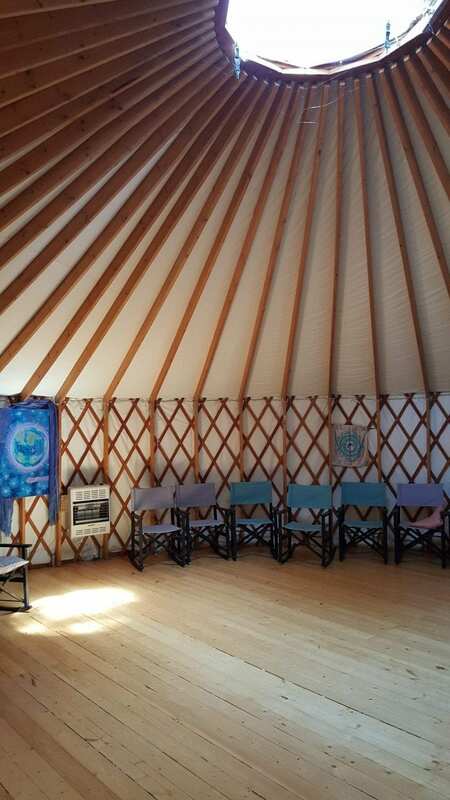 On the other side of the clearing was a large yurt to host events and spiritual workshops! The tour continued further into the ‘wilderness’ camping areas of the property and ran alongside of the year-round snow melt river! 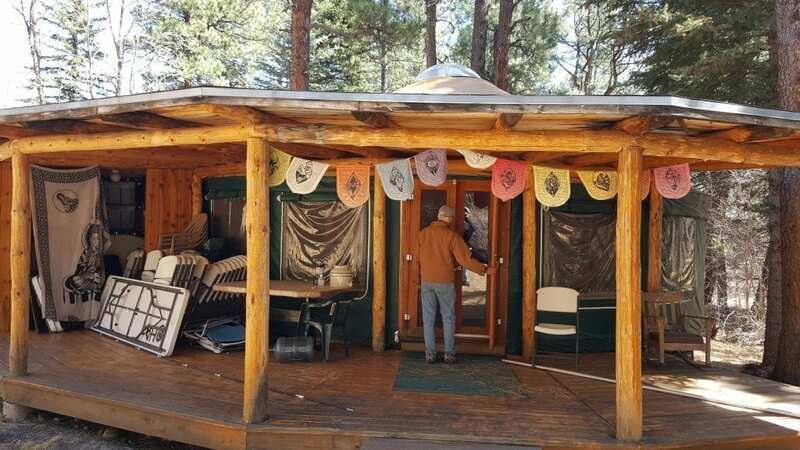 These spaces included fire pits, hand-made medicine wheels, structural shelter frames, a spiritual maze, and an outdoor wedding venue! 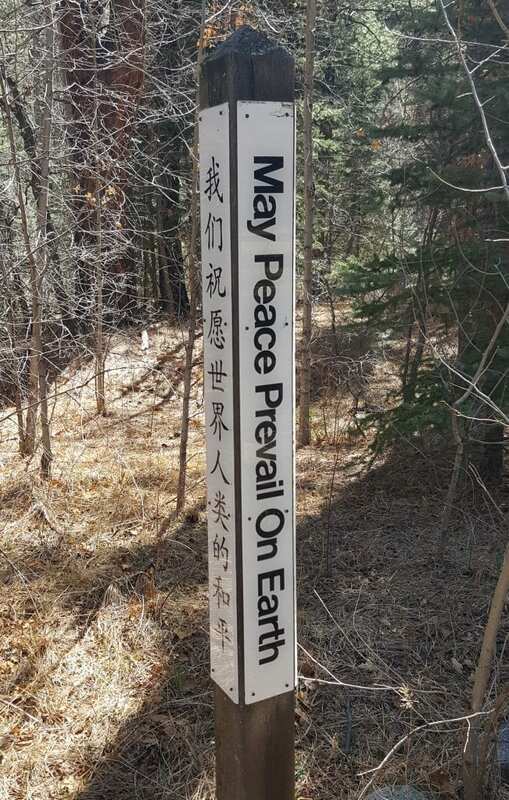 This is another “peace pole” I came across on my travels here at the Hummingbird Community! This was the small medicine wheel we came upon as we walked through the forest! 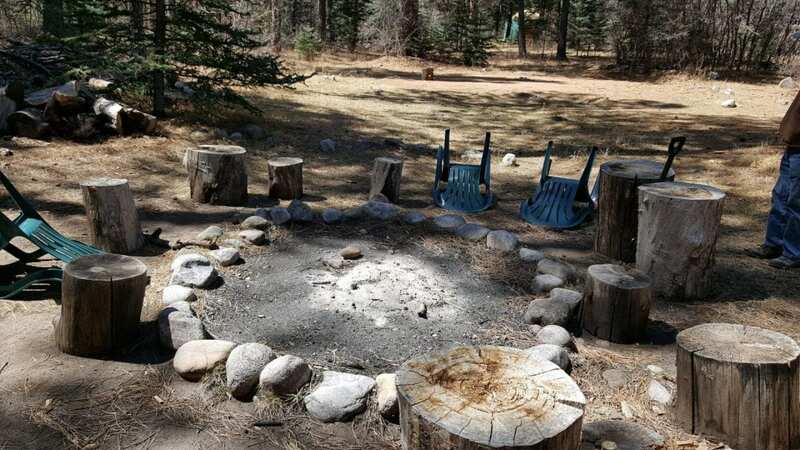 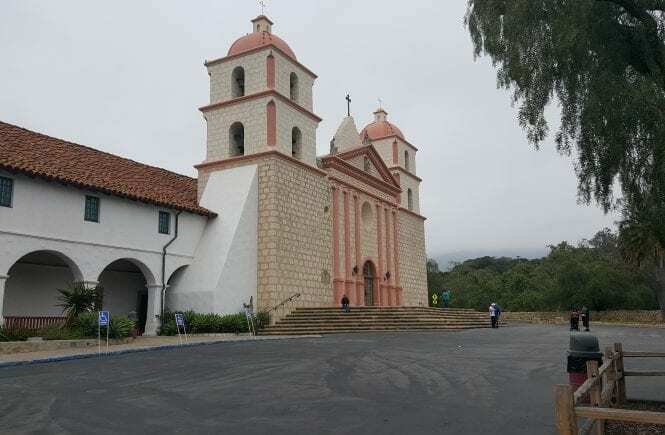 This area had structural frames for a hot-rock, sweat sauna – where the rocks were heated in the outdoor fire pit and then moved into the (covered) dome and water would be poured on the rocks. 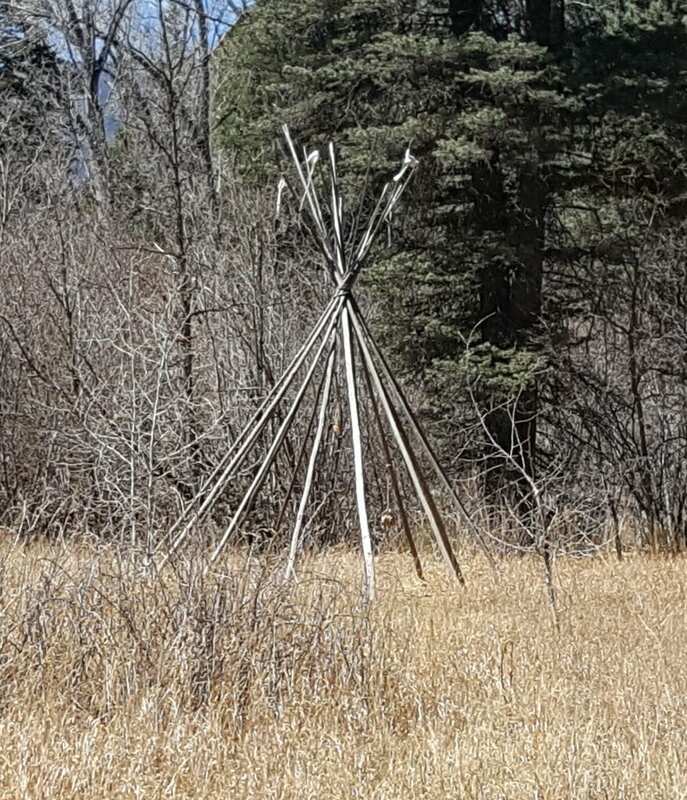 This is Hummingbird’s large-scale medicine wheel in one of their forest meadows! 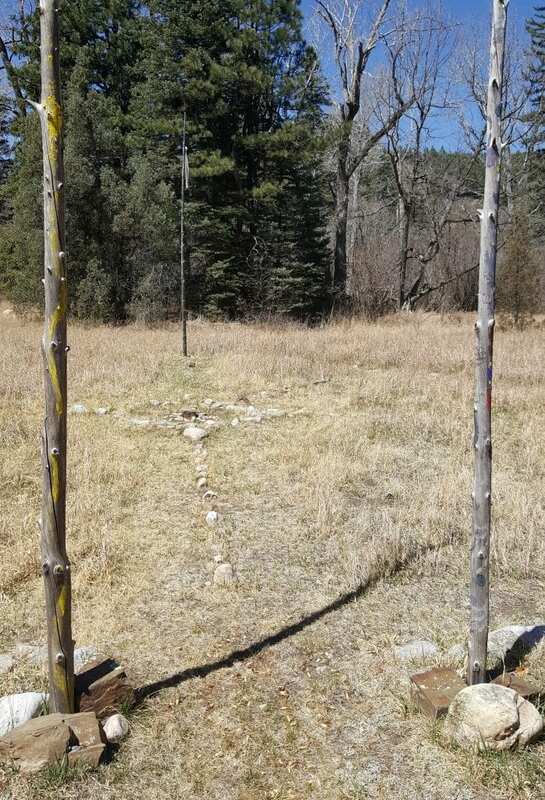 A picture of the teepee posts near the large medicine wheel in the meadow. 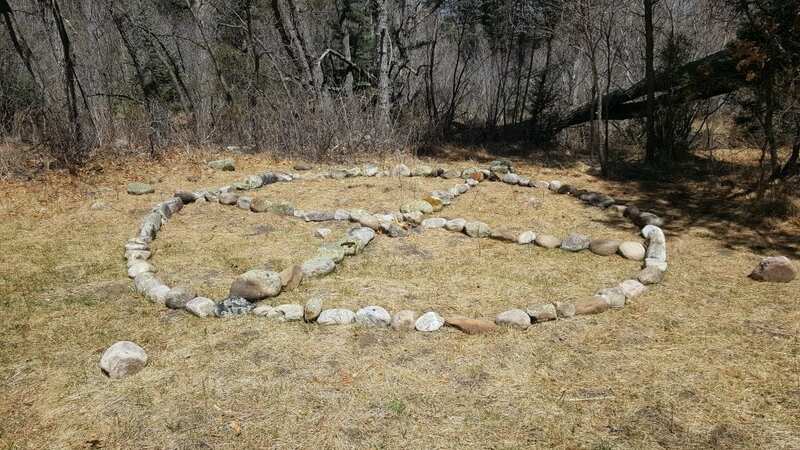 Similar to the maze at Sunburst Sanctuary, Hummingbird also has a spirit maze lined by rocks! 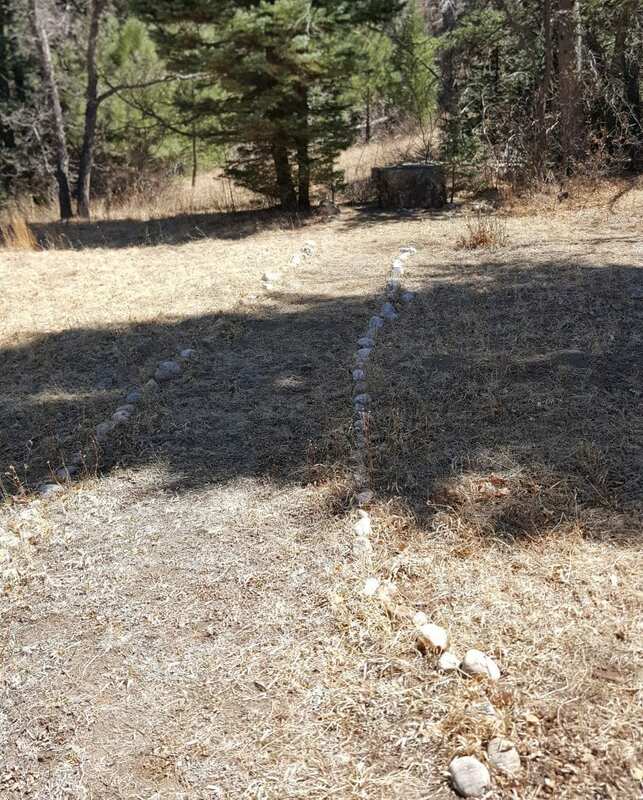 At the end of the meadow trail, we came across the outdoor wedding venue with a rock alter and stone-lined aisle. 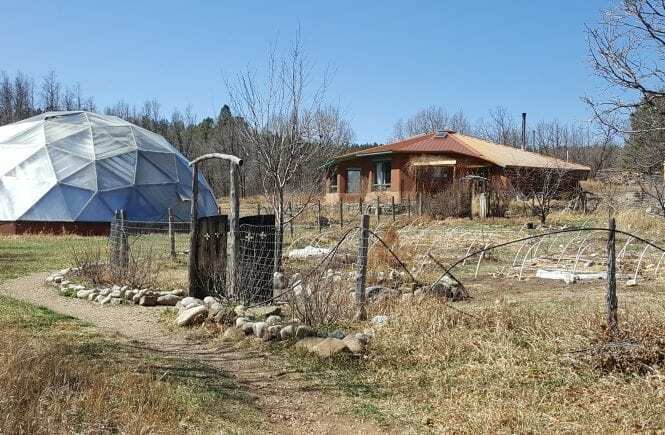 On the way back from the tour, Rick showed me a nearby geodesic dome cabin that is used for personal sabbaticals or as the honeymoon suite. 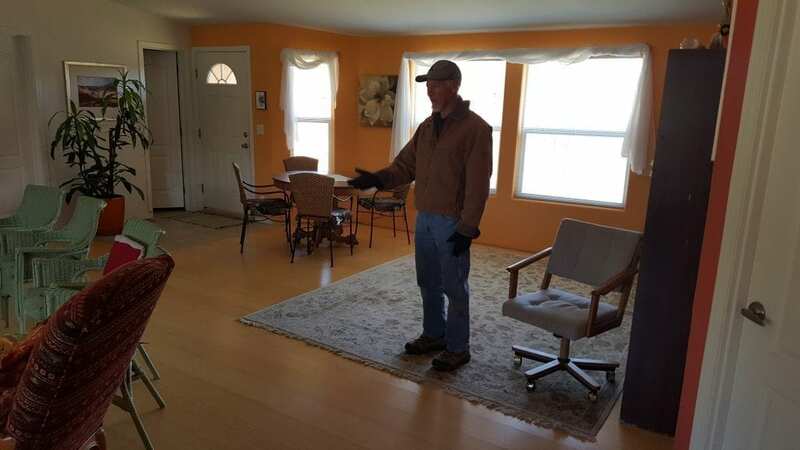 I really appreciated Rich taking the time to show me around, and providing an established perspective on community and how change is part of the evolutionary process – the process that Hummingbird it undergoing to stay successful and increase business as an educational and event venue. 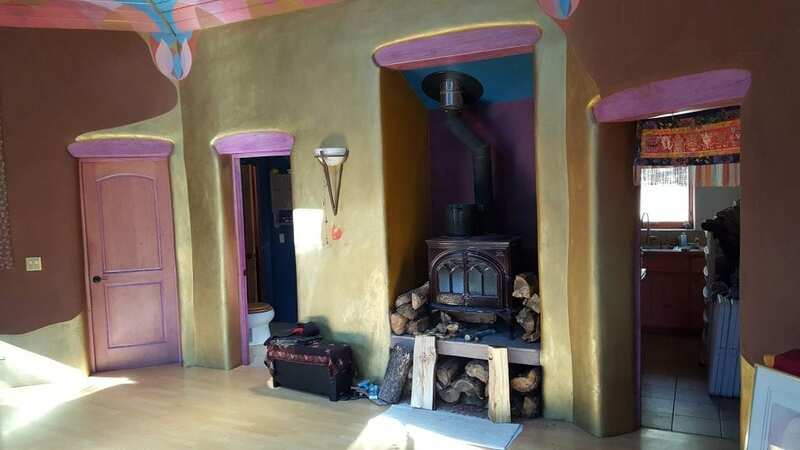 Thanking Rich, I left Hummingbird on my drive through the mountains to the Earthship Community in Taos, NM.